The destiny of the club is not in its own hands. Gor Mahia cannot finish lower than second position. But to win the league, Gor Mahia now finds itself in the awkward position of hoping that arch rivals AFC will beat Tusker next weekend. 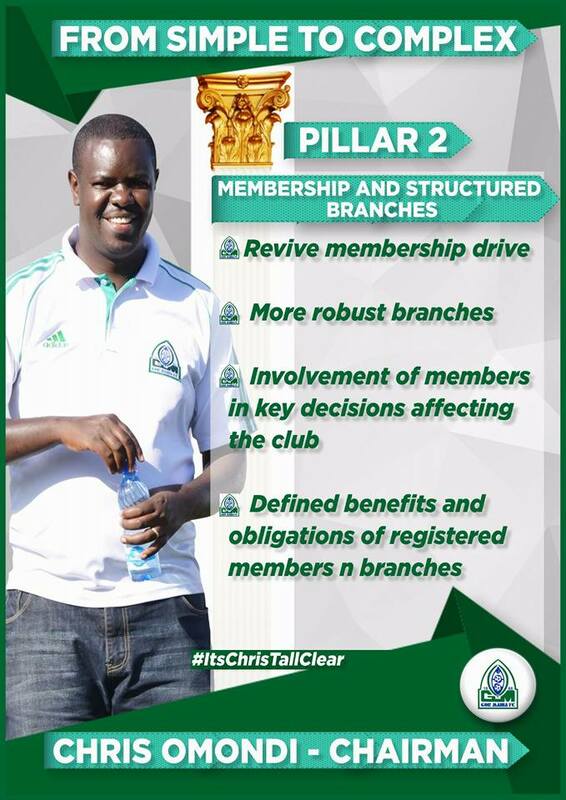 But Gor Mahia coaches and players have vowed to continue their fight until the last day. If they do so, they will have done their part. There is not much they can do about the fact that FKF deducted three points. Some will argue that the decision was unfair. But not much can be done now. Midfield maestro Francis Kahata who was in fine form on Sunday knows that the club cannot afford to drop points. Coach Ze Maria was happy with Sunday’s display and says that the fight will continue until the last day. “We have to keep going. We don’t know what will happen, but we want to win our matches and if it goes our way, it’s OK,” Ferreira said. “We don’t have regrets, but we would have wished to win those matches (12 drawn games) but we now have to look forward.” he continued. But this is how a league goes. Just two weeks ago, Gor Mahia fans were all but resigned to the fate of finishing second to Tusker in the 2016 Kenya premier League. However the derby victory last week has lifted the spirits and hopes of fans. Firstly because it was Gor Mahia’s first win over arch rivals Ingwe since 2013 when Logarusic was in charge. Secondly because it brought Gor Mahia back to within shouting distance of Tusker. Coach Jose Marcelo Ferreira has said that the next two matches will determine the league. “By the end of next weekend it will be clear whether we shall be lifting the league trophy at the end of the season or not,” he said to the official KPL website. “I know that Tusker drew their last game and yes, I followed their performance every week, but I don’t want to be preoccupied with whether they win or lose their other matches. My mind will fully be on Gor and our upcoming matches.” he continued. For Gor Mahia to stand a chance, Tusker must draw at least one of the next two matches and Gor Mahia must win both. This will set up the final encounter on November 19 which will decide who lifts the title. But Marcelo continues to insist that he is not focused on what Tusker does but only on what he can control. “What is most important to me right now is to ensure that the team performs well in the remaining games and that means collecting maximum points. We just want to play our game and keep our focus on trying to win every match that we engage in” he continued. Gor Mahia have shifted their base from camp Toyoyo to Kasarani as they prepare to play the slum boys on Sunday. I have always held the belief that we cannot talk of any transformation in our club without being cognizant of our key resource- THE FOOTBALL TEAM- which, metaphorically, I refer to as “our cow.” A cow that if well taken care of would enable us derive several products in its lifetime. I opine that it is by only having a successful football team on the pitch-sustained success that we can dare discuss other pillars like Membership, Revenue Collection, Professionalised Secretariat, Progressive Constitution e.t.c. 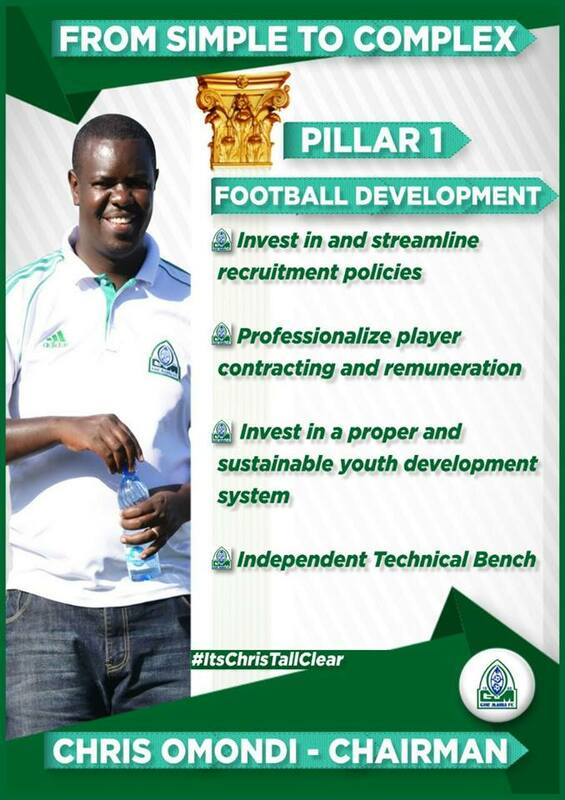 Without a perfoming football team, these other pillars that are equally interdependent become affected. From the foregoing I humbly submit that our FOOTBALL TEAM comprising the players, technical bench and other “workers” become my 1st major PILLAR (focal point). a. Adoption of merit based recruitment policies on players, technical bench members and other football team employees. On recruitment of players, we will reactivate the scouting networks the club had in the yester-years and build new ones with more emphasis on identifying young talents that would be nurtured n developed. We endeavour to go back to the days when our club was the domicile of national team materials/players. We will partner with selected Primary and Secondary schools in terms of identifying and developing such young talents. For a start, such partnerships will involve providing football equipment and expertise. But resources allowing, in the near future, the club will have a fully fledged academy. Summarily, we shall adopt recruitment policies that would build into our vision of FOOTBALL AS BUSINESS where sale of players ought to be one of the major revenue streams available to the club. b.We believe in internal capacity building and to this end, we shall endeavour to have our own conveyor belt of not only players but also members of the technical bench. We will seek to have U23, U20, U17 and U15 teams either through the initially stated partnerships with schools or as an Academy (resources allowing). We are greatful that, through our fans, we have a Youth Team we can build from/on. On the technical bench, we opine that our senior players interested in delving into coaching will be supported and allowed to sharpen their skills with our junior teams. We hasten to point out that this would not only propagate club philosophy over generations but would in the long run act as cost cutting measure. c. On player contracts, the already stated philosophy of FOOTBALL AS BUSINESS shall be the guiding factor. Clauses that protect the club’s business interests will be introduced to ensure the envisaged model that includes sale of players as a stream of revenue is jealously protected. Young promising players will be given full proof contracts such that we don’t buttress this notion of Gor Mahia as a platform. I believe that if we are to be a “platform”, then we ought to maximise on that by having contracts that protects club’s interests. 3.To enable the players and the technical bench concentrate on their business of winning and playing attractive soccer,we shall seek to provide incentives in the form of proper medical covers for themselves and their determined family members…furthermore we shall seek to provide the most competitive salaries commensurate with the expected performance levels and minimise huge disparities in their salaries as we endeavour to build one functional juggernaut…..
After grabbing man of the match honours at the recent mashemeji derby, KTN caught up with youthful sensation Eric Ouma for an interview. In the interview he says that hard work is what has enabled him to reach where he is in football and he realizes that he will need to continue working hard in order to maintain his place in the starting line-up and his place in the national team. The interview also reveals that Marcelo has attracted offers from several teams within the country and possible outside since his contract is ending in December. 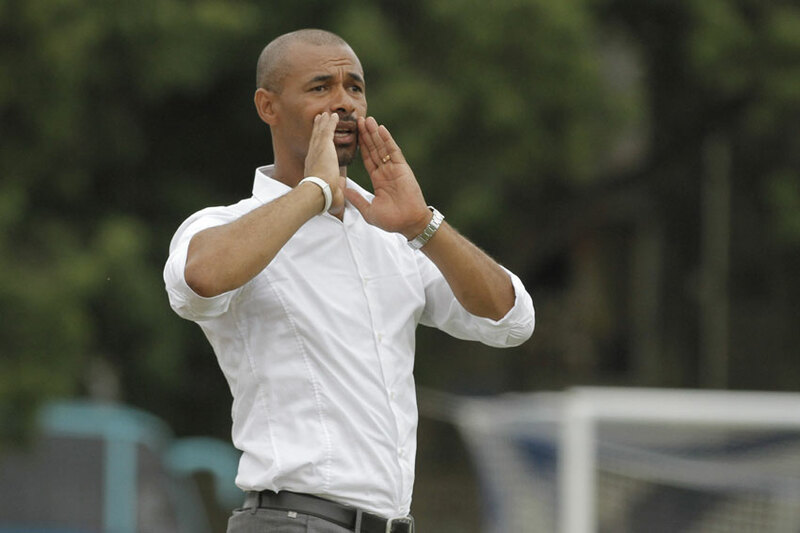 Gor Mahia’s Brazilian tactician Ze Maria has been a man besieged for the past two months or so. But relieves a coaches pressure than winning a derby. It also helps that the gap between Gor Mahia and leader’s Tusker went from 6 points to 4 points. And with three matches. left, Gor Mahia havea shot at the title. For the time being at least, Gor Mahia fans have put aside their lack of faith in the former Gor Mahia international. Ze Maria for his part praised the players and credited the win to the good preparations that the team had this week. Gor Mahia were the better side throughout the game and created numerous chances coming close several times with players like Blackberry, Tuyisenge and Kagere. Youngster Eric Ouma was arguably man of the match, completely bottling the AFC attacker Buko whiule making numerous forays upfront. His well weighted cross found Agwanda in perfect position to score. 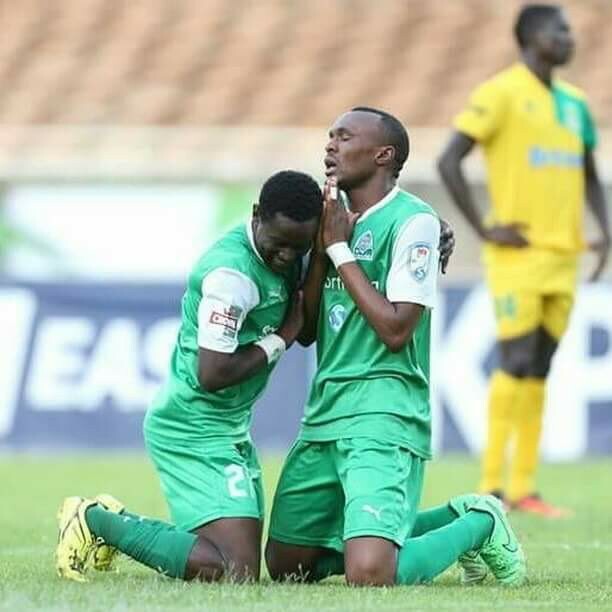 Skipper and long serving defender Musa Mohamed also thought that Gor Mahia deserved the win as he praised his team-mates. Musa also stressed the need for Gor Mahia to find consistency in order to have any chance at winning. With Gor Mahia’s hopes of retaining the KPL title for a record fourth time having been significantly dimmed on Wednesday, attention will now shift to the Sunday encounter between the arch rivals Gor Mahia and AFC Leopards on Sunday. This derby is important for Gor Mahia fans as they have not actually beaten Ingwe since Logarusic left. Last season Gor Mahia were likely on their way to defeating AFC in the second leg. Gor Mahia were awarded a penalty. As Meddie Kagere stepped forward to take the kick, Ingwe fans disrupted the match by pelting the goalmouth area with stones. The match was abandoned and Gor Mahia awarded the match 2-0. And this year the match occurred just as Gor Mahia were in a significant dip in form. AFC won 1-0. It is for this reasons that the derby will be important for Kogalo fans. Coach Ze Maria who is coaching in his first derby will have been told about the significance of this match. AFC for their part aare buoyed by the arrival of a new coach in Stewart Hall. Fans will pay to watch Mashemeji Derby pitting AFC Leopards against Gor Mahia slated for Sunday 23 October through Mpesa service and not through paper tickets as has been the norm, Leopards have announced. Ingwe will host Gor Mahia in a crunch KPL match with the bragging rights at stake when the two rivals face off. Leopards had however decided to go paperless in ticketing for the derby and fans will pay to watch the match through Safaricom Mpesa service as confirmed by Ingwe through their social media pages. Vip tickets will be sold at Kshs. 1000 whereas Terraces will be sold at Kshs.300. Tickets can be purchased through Paybill number : 964850, Account number 2316(VIP) and 2317(Terraces). Tickets will go on sale as from today (Thursday 20/10/2016) 1800hrs to Sunday 23/10/2016, 1200 hrs. No manual tickets will be printed, the SMS confirmation message with the ticket number is sufficient. No tickets will be sold at the venue, read the post. Substitute Bernard Ondiek denied Gor Mahia a chance to close the gap to four points with his late equalizer that ensured a 2-2 draw as Gor Mahia and Western Stima faced off in their midweek Kenyan Premier League match played at Nyayo National Stadium. 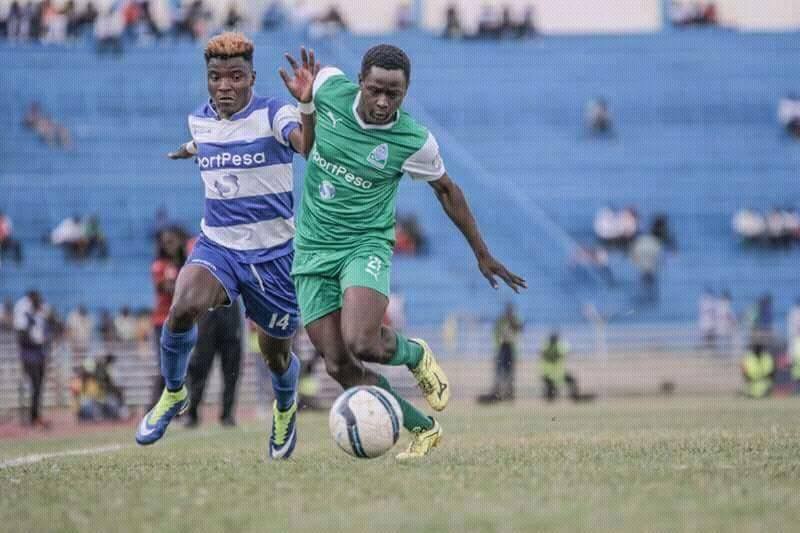 Godfrey Walusimbi had scored at the 75th minute heading in from an Innocent Wafula’s cross leaving Gor Mahia poised to win the match until Ondiek’s header came in the dying minutes of the game. Western Stima came into this top of the table clash seeking the first win and first goal from Gor Mahia ever since May 2013 and it was Kenneth Muguna who launched the attack setting up former Gor forward Hubert Kopany who floated in a cross to waiting Kennedy Agogo Otieno. Otieno never disappointed as he sent the ball into the net just before halftime. It was Gor Mahia who had a strong start and Godfrey Walusimbi was the first player to get a clear cut chance but shot over the post. He later set up Francis Kahata who also missed to find the target from the edge of the box. Western Stima later started responding as the 20th minute mark approached but Brian Marita was unable to dribble past Boniface Olouch. Otieno tried his luck but Olouch stood tall once again in goal to deny him. Towards the end of the first half both teams came up strongly but it was Stima’s efforts that paid off first. Five minutes from halftime, Gor Mahia won a penalty after Jacques Tuyisenge was brought down in the 18 yard box. Enock Agwanda took it and sent Gabriel Andika the wrong way to equalize for Gor Mahia. Gor Mahia remain second with 45 points, six behind leaders Tusker FC. Western Stima on the other hand are fourth with 41 points from 26 matches.